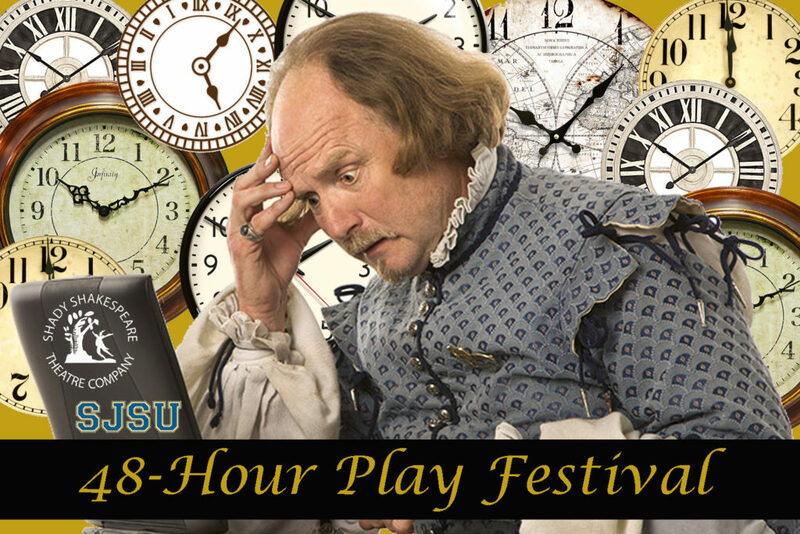 Thank you to everyone who participated in this year’s 48-Hour Play Festival: ShakesSports! Our teams really knocked it out of the park and showed the hearts of true champions. And they couldn’t have done it without the fans in the stands! Thank you to all of our supporters who filled the house and cheered on their favorite athletes…er, um, actors…er, both. 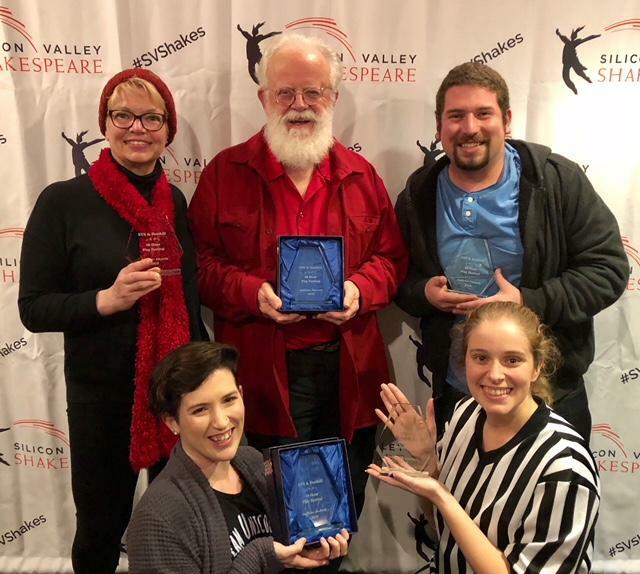 And THANK YOU to our friends and teammates at Foothill College Theatre Arts Department, for once again teaming up with us for the annual 48-Hour festival! Check out the plays, artists, and audience favorites from our past festivals! 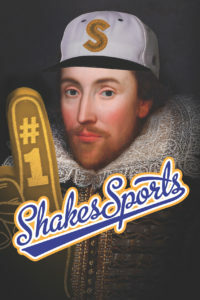 Theme: What happens to Shakespeare’s plays when sports get thrown in? 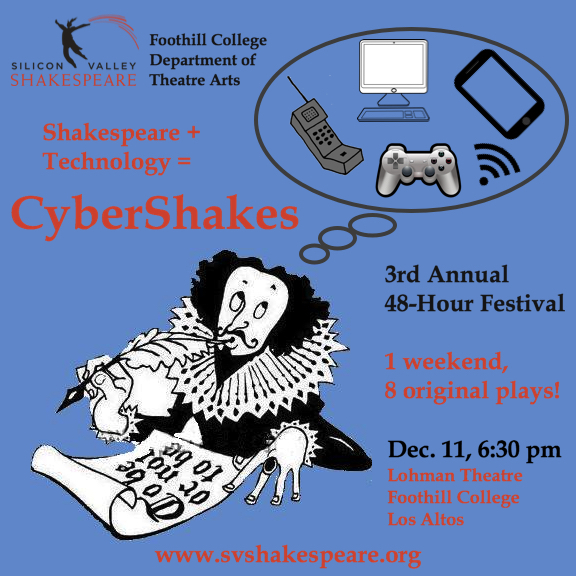 Theme: What happens to Shakespeare’s plays when a random piece of technology is introduced to the story? Theme: What happens when two random Shakespeare plays collide? Each play is a combination of one comedy and one tragedy. Theme: What may have happened after the curtain fell on Shakespeare’s most famous works? From zero to new Shakespeare play in two days! 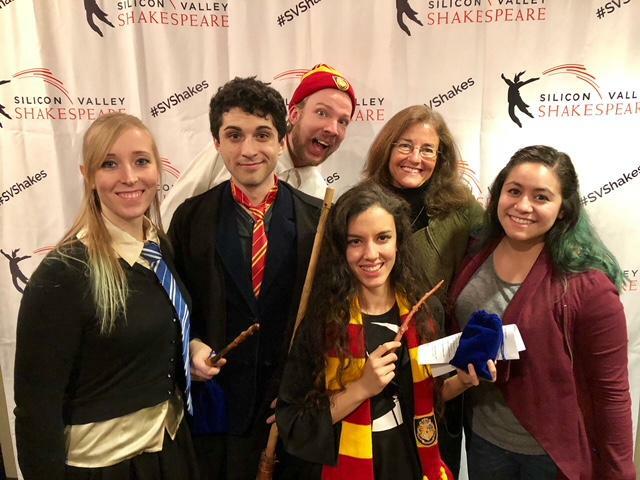 Every year, Silicon Valley Shakespeare produces a 48-hour play festival, partnering with a local college or university. In one weekend (48 hours! ), a wide array of local artists start with nothing, write, rehearse, and do a full public performance of eight new short plays! This year’s festival will be in early January, 2018, co-produced once again with the Foothill College Theatre Arts Department. Details coming soon! 6:30pm Friday: Eight teams – each with a local writer, director, and actors – meet and find out their play’s criteria. Criteria: the Shakespeare play inspiring theirs, a required line of dialogue, required prop, and other surprises. 12pm Saturday: The writer submits a completed script, having spent all night writing from scratch! Saturday afternoon through Sunday afternoon: Everyone rehearses. A lot. 6:30pm Sunday: Eight completely new short plays premiere, in a full production for the public. At the end of the performance, the audience votes for their favorites. Votes are counted during a brief audience talkback with the writers and directors.